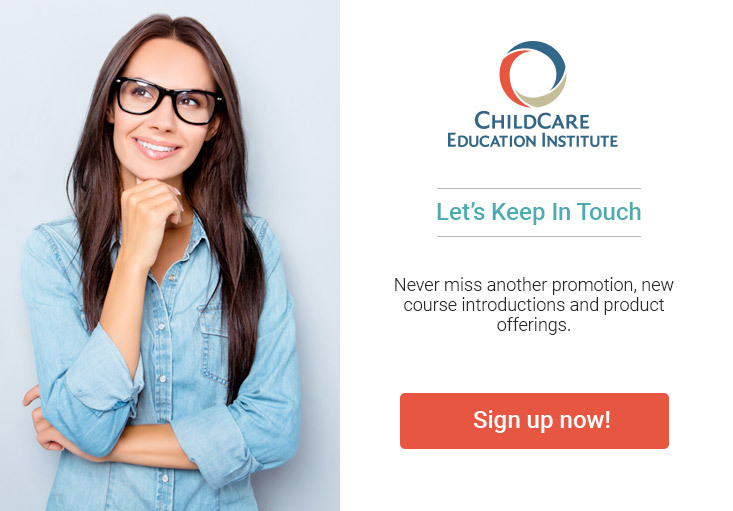 ChildCare Education Institute (CCEI) offers online professional development courses for teachers and child care providers that meet state training requirements and are awarded IACET Continuing Education Units (CEUs). CCEI’s professional development courses are designed to provide students with generally accepted child care practices and training based on research in the field of early childhood education. Courses are written by early childhood experts, including courses by authors Rae Pica and Dr. Pam Schiller just to name a few. Acceptance of CCEI professional development coursework varies within each state. Some of the material presented in these courses may differ from the specific requirements of state or local regulatory agencies and other compliance organizations. Some jurisdictions also limit the number of courses per day or course hours that will be recognized for licensing or other requirements. Please check with your director or regulatory office(s) to ensure the courses you plan to take will satisfy the requirement(s) for which you are taking them. And check back often – CCEI adds over 30 hours of new course content to the Course Catalog each year!